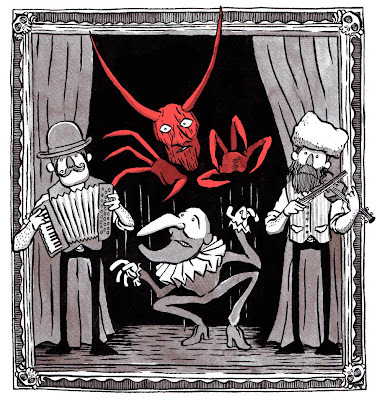 I did this illustration for Amelia's Magazine on Friday to accompany a review for 'The Devil and Mister Punch'. Here's a trailer for the actual production currently showing at The Barbican. Ticket information here.